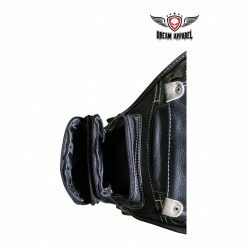 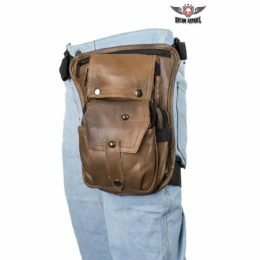 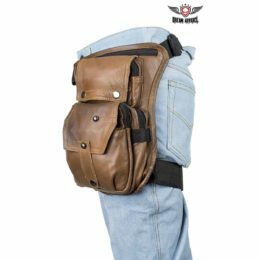 View Cart “Premier Brown Leather Multi Pocket Thigh Bags with Gun Pocket” has been added to your cart. 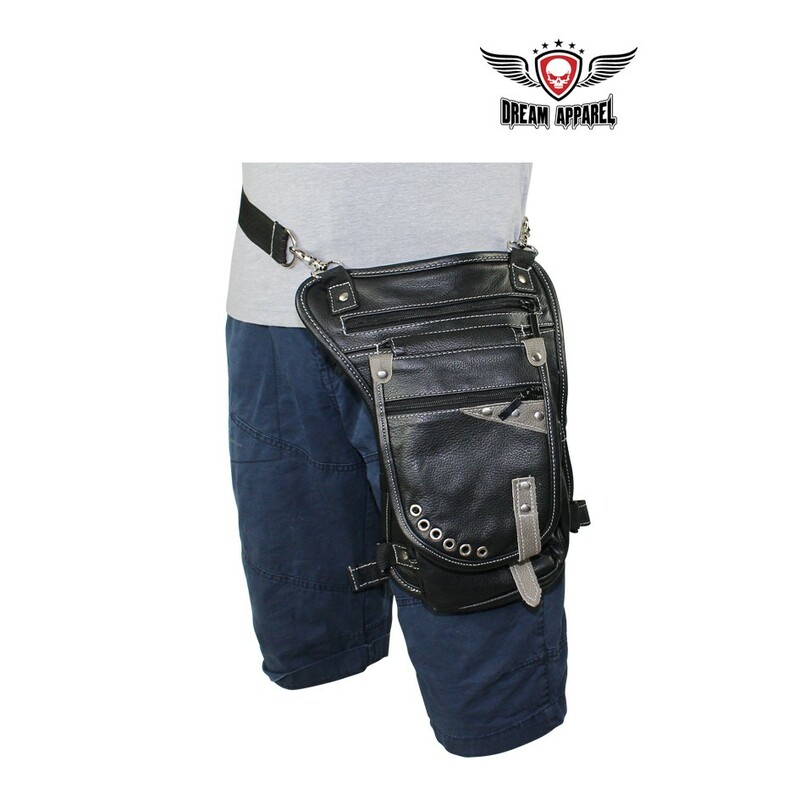 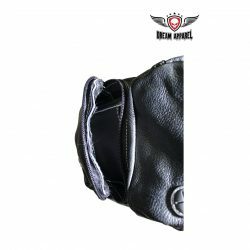 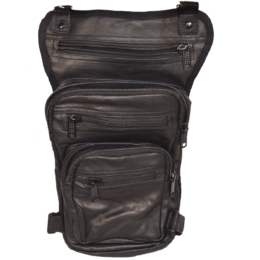 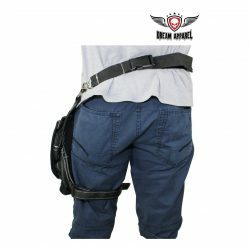 Here at BIKERSGEARONLINE, we work to give you the best thigh bag experience you’ve ever had. 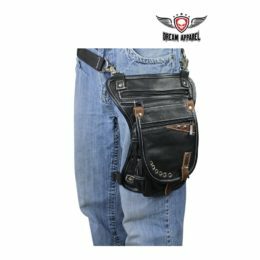 With that being said, we’d like to introduce our beautiful new black naked cowhide leather thigh bag featuring a touch of distressed brown. 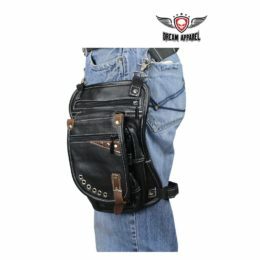 You will not be disappointed, this look is really eye catching and looks very stylish. 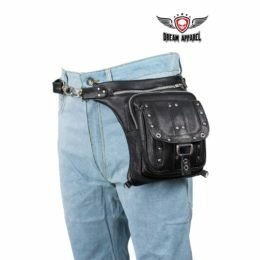 This beauty is unique in many ways. At the top of the bag, you are met with the largest pocket which features a gun pocket. Under that, another zippered pocket is on the large strap. 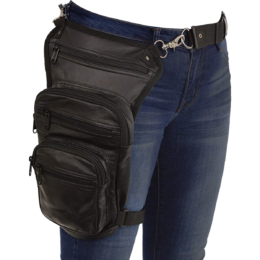 Once you unsnap this strap, you have two more zippered pockets. 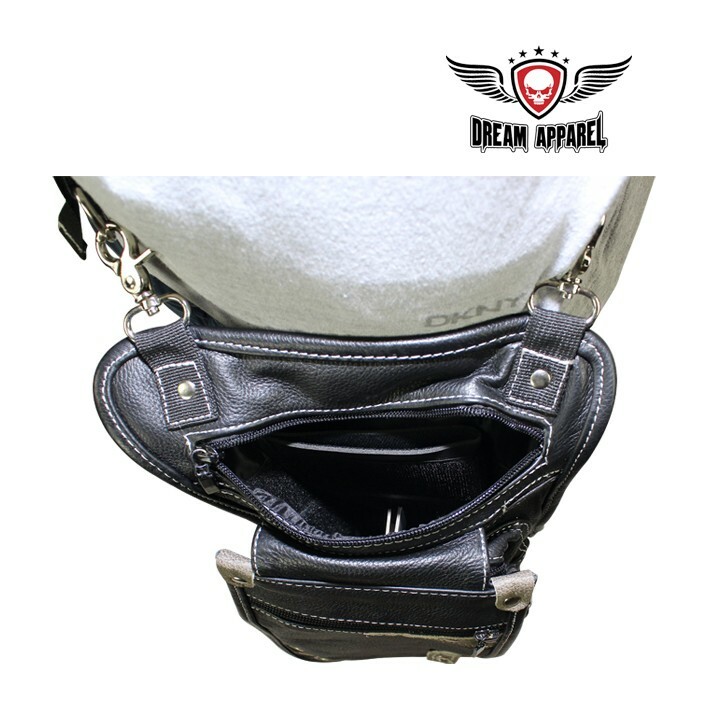 Large lobster clasps allow easy attachment and detachment. 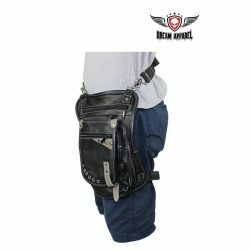 This bag is perfect for any and every biker. 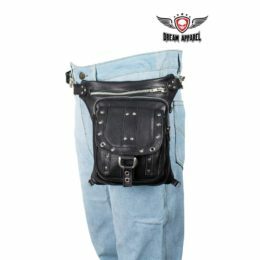 Grab this thigh bag today, don’t miss out!